Ready for the best ringtones? Just being good is not enough! Be the best! Download Best Ringtones app and be fantastic with these cool ringtones and free sounds. Never settle for less when you can be the best! Download Best Ringtones app and you will have new ringtones soundboard with latest sms tones, notification sounds, alarms and, of course, coolest mobile ringtones. 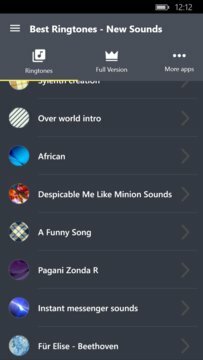 Choose among various high-quality free sound effects, from funny ringtones to romantic or love ringtones. One click and your phone will be richer for new sounds, best melodies, and top songs. Grab some popular free sounds and enjoy answering your phone calls. Now you have the opportunity to show off to your friends that you have the best ringtones ever! Don't be the same, be the best! Get Best Ringtones and make your phone awesome with latest ringtones. 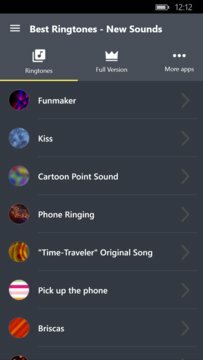 Sounds and tones used in Best Ringtones are under Creative Commons license (CC0 1.0, CC BY 3.0, CC BY-SA 3.0, CC BY 4.0), credited in the app, where appropriate.